Find A Trainer For You! Having a trainer keeps you motivated, educated and helps you get the most out of your workout! 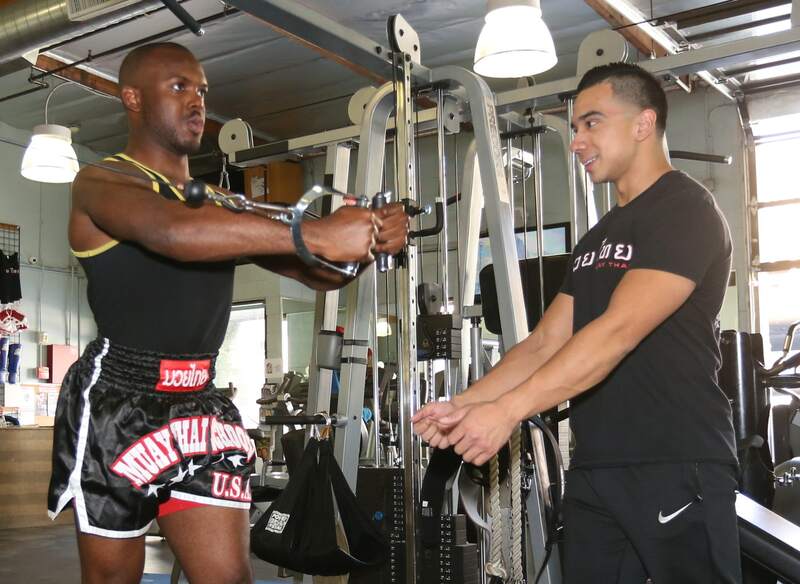 All of our trainers are certified and dedicated to helping you reach your fitness goals. Fill out the form or call and we will find the trainer that best suits your needs! Click on the link directly below to submit a form so we can find a trainer right for you or call us now at 818-980-6688 to talk to us about your individual trainer needs. Certified Trainers are Welcome! At One Fitness was designed by a trainer for trainers. We provide all that you need in order to give your clients the best fitness experience! We are open 7 days per week and offer single, double and trainer session packages. Also, as long as your client trains at least once per week with you, their membership includes full gym use at any time and class discounts! Why should you bring your clients to At One Fitness? Certification or Exercise Science Degree and current liability insurance required. Single, Double and discounted package of 10 sessions available. Click the button below to view our Trainer Policies! a trainer fit for you! Preference in Male or Female trainer?